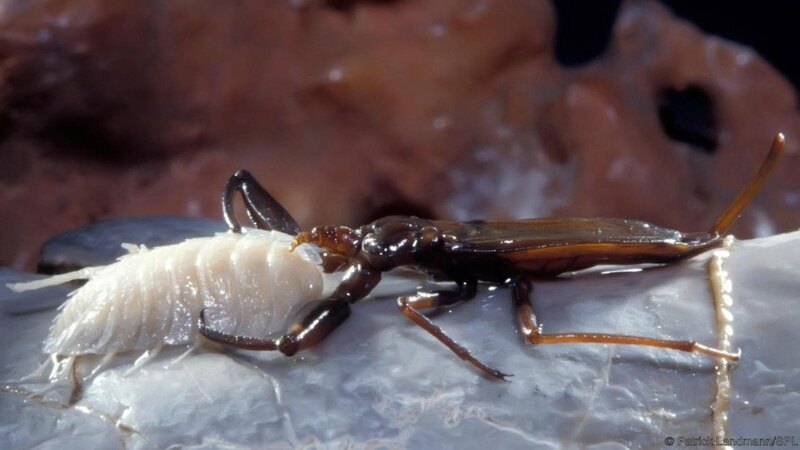 A cave in eastern Romania has a unique environment that is hostile, and potentially deadly, for humans, but makes a perfect home for all sorts of prehistoric invertebrates. The Movile Cave, located a few miles from the Black Sea, was sealed for more than five million years when it was discovered in the mid-1980s and, to date, fewer than 100 people have been allowed to enter. So far—48 species of creatures have been found living in the depths of the treacherous cave, most of which do not exist anywhere else on Earth. The cave was discovered in 1986 when workers in communist Romania were scoping out locations for a proposed power plant. Romanian scientist Cristian Lascu was the first person to descend into the toxic cave, and since then, fewer than 100 people have been allowed to follow suit. That’s similar to the number of people who have been to the Moon. Ten years after the cave was discovered, a group of biologists studied its prehistoric inhabitants in an effort to determine how they survive in an environment with no sunlight and very little oxygen. In the cave, just ten percent of the air is oxygen, compared to 20 percent above ground. Biologists found that the cave-dwelling creatures convert hydrogen sulfide into energy through chemoautotrophic production. The team identified 48 terrestrial and aquatic invertebrates, 33 of which only exist in this particular cave. Those results were published in the journal Science. As the history of the Earth goes, it’s important to note that five and a half million years is a tiny fraction of the planet’s existence. Despite that, the findings are still quite meaningful. Armadillidium sp. 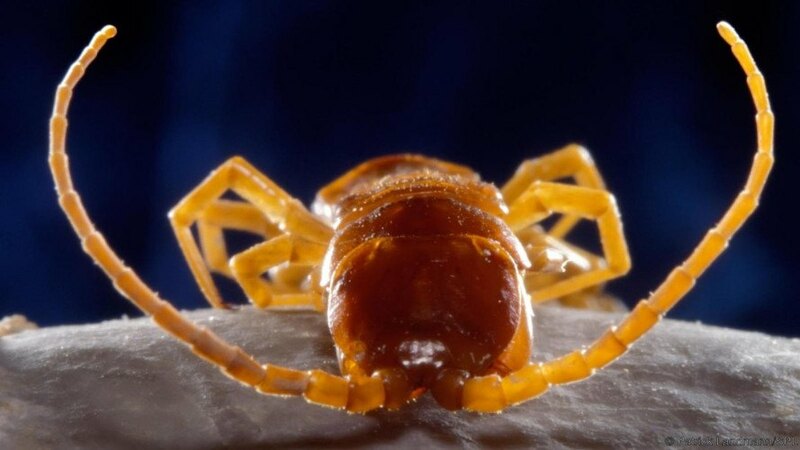 woodlouse found only in the Movile Cave, Romania. A waterscorpion (Nepa sp.) attacks its crustacean prey. A centipede (Criptos anomalans) with extra-long antennae.